Google Chromecast is an unusual device. Unlike most streaming set-top boxes, it doesn’t come with a remote, a bevy of pre-loaded apps or even an obvious menu system. Instead, the Chromecast acts as a conduit for the apps and content you might find on your PC, laptop, smartphone or tablet. The latter two are particularly important – by tapping the cast button in supported apps, you can use your mobile device as a remote and easily tee up new goodies from your sofa. But knowing which mobile apps support Chromecast and, perhaps more importantly, which ones are worth bothering with is tough. To make your life a little easier, we’ve created a shortlist of our favorite Google Chromecast apps. Want to view this feature as a single page? Just click here. Unlike Amazon, Netflix is yet to offer its own hardware. Instead, the company wants to deliver its on-demand streaming service through every device and platform known to man – including Google Chromecast. 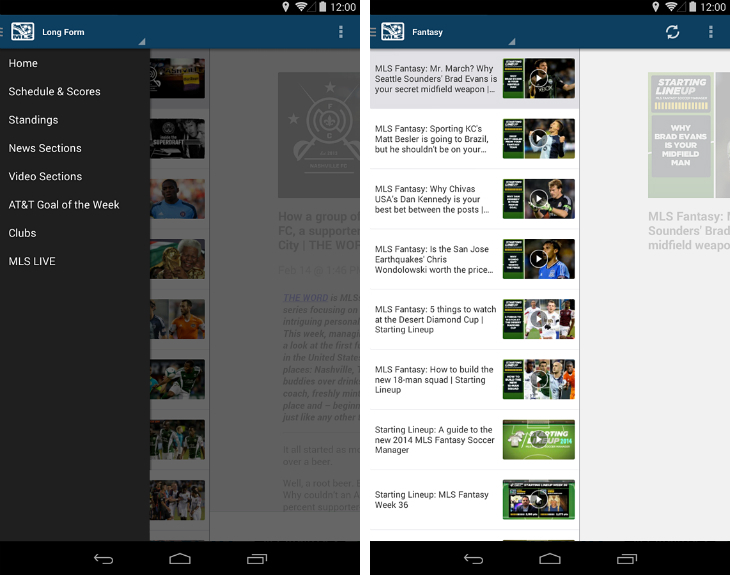 The integration is smooth across both the iOS and Android apps. While casting, you can access additional controls on your mobile device for scrubbing back and forth, toggling audio and subtitles, adding a five-star rating and more. Furthermore, you can slide the panel away and continue browsing the app while the TV show or movie streams gracefully to your TV. Availability: US, Canada, Latin America and some areas of Europe (link). Price: Free download, with monthly subscription. The Sopranos. Boardwalk Empire. The Wire. HBO is notorious for producing and broadcasting TV shows of the highest calibre and, as a result, many of us are desperate to watch their latest programming. 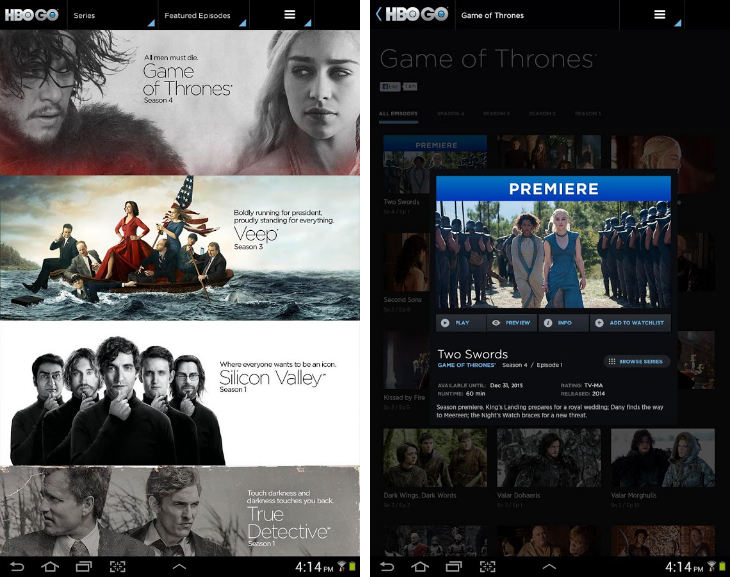 HBO Go is only available to US subscribers who already have a have a HBO subscription with their television service provider. Obviously, those parameters make HBO Go a fairly niche product on the global stage, but if you can get access – it’s a legal and stress-free way to stream Game of Thrones through your TV. Price: Free download, with relevant subscription. 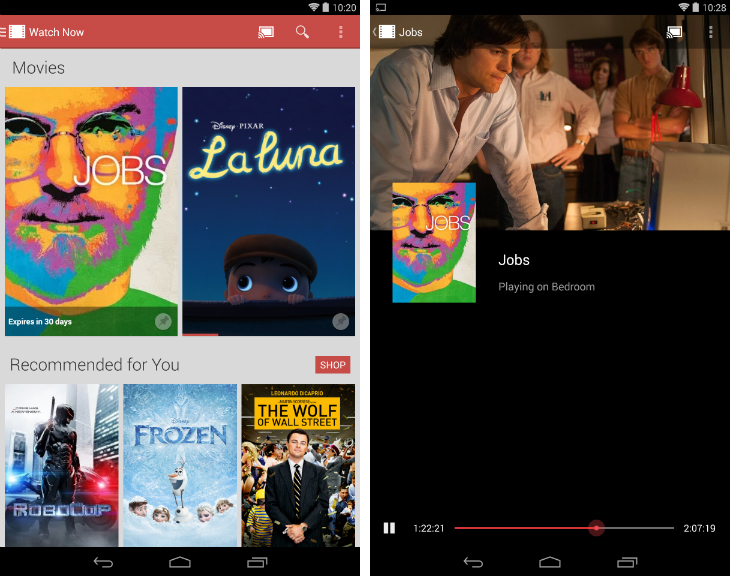 If you’re buying or renting videos from Google Play, it’s quite difficult to whip them across to your TV. Chromecast is the simplest workaround, which is hardly surprising given they’re both part of Google’s media ecosystem. Streaming is supported from both the iOS and Android app, although as a reminder you can’t buy anything from the former. Both apps allow you to browse your library while the video is playing, and there’s a simple seek bar for controlling the content. Availability: 69 markets for movies, but only 5 markets for TV shows. Price: Free download, with in-app purchases. 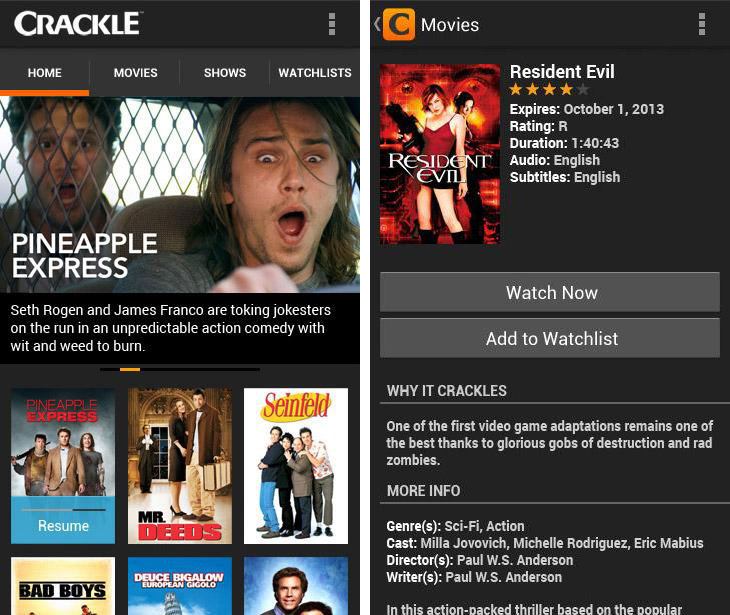 Backed by Sony Pictures Entertainment, Crackle offers free movie and TV streaming in the US, Canada, Australia and Latin America. The service is ad-supported and as you might expect, most of its content is fairly old. 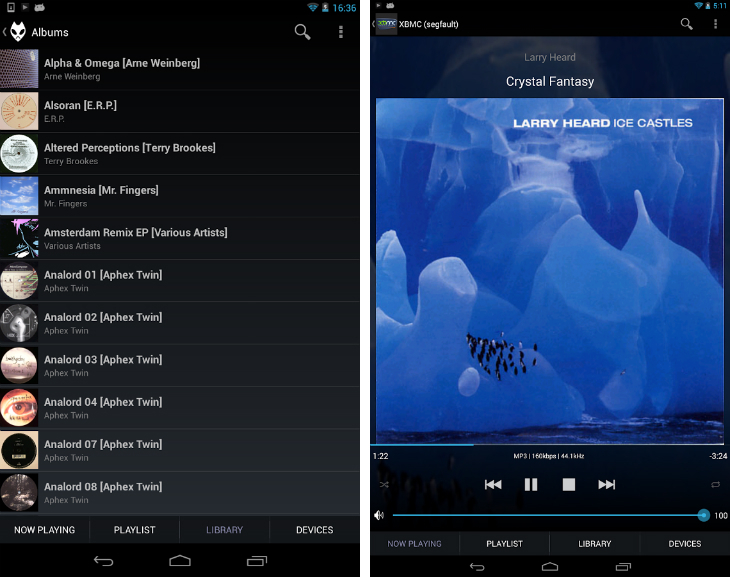 Nevertheless, a free streaming service is useful to have at your disposal, especially when it supports the Chromecast. Crackle also offers some original programming, such as Bannen Way and Comedians in Cars Getting Coffee. 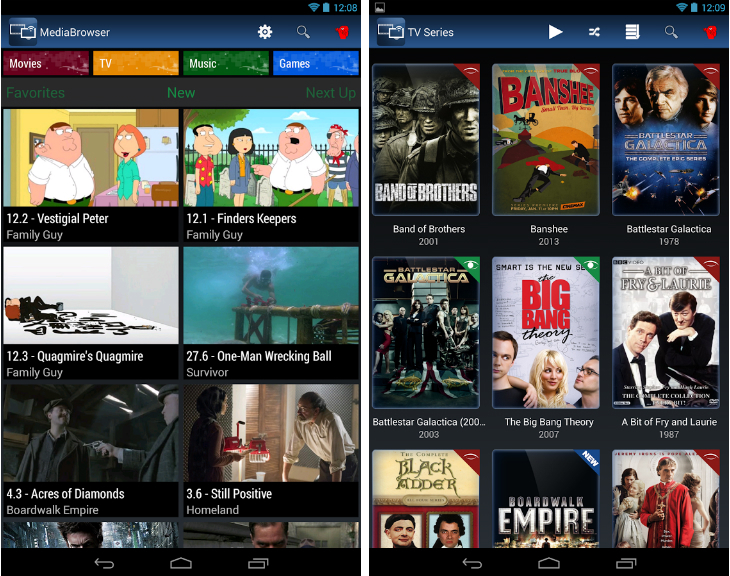 If you’re on a budget, Crackle is a useful addition for your personal app collection. The BBC is considered a public treasure by many British citizens, but it shares a similar reputation in other parts of the world too. Its digital efforts are spearheaded by iPlayer, a portal for streaming TV, radio and the occasional movie over the internet. 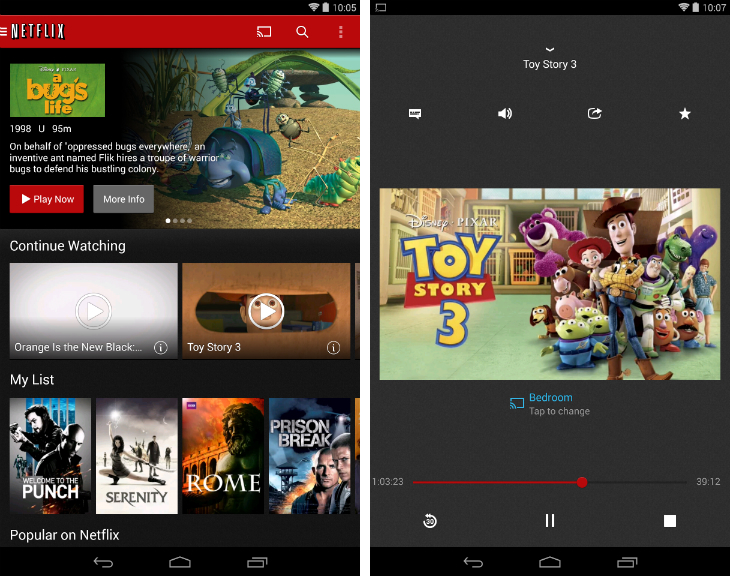 Boot up the app, tap the cast button and you can whisk any piece of content over to your TV. During playback you can jump back and forth with the seek bar, change the volume and subtitles, or just look at another part of the app. Availability: UK. 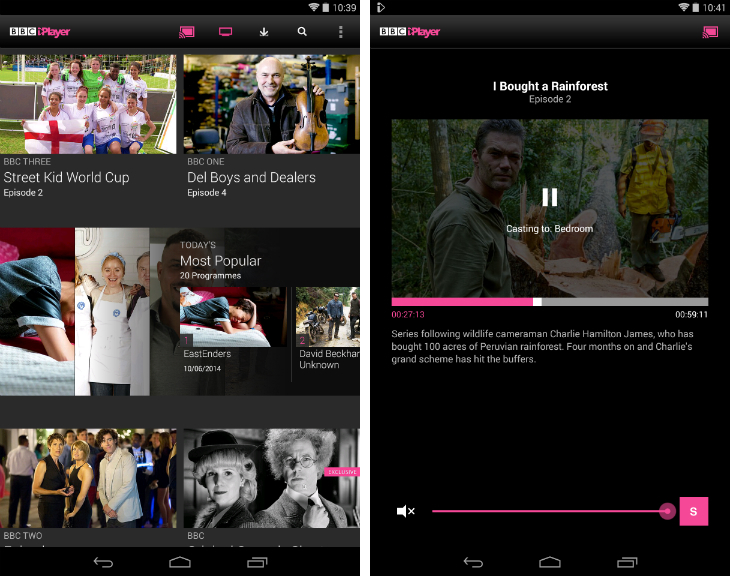 A ‘global’ version of the iPlayer app is also available in: Austria, Belgium, Denmark, Finland, France, Germany, Ireland, Italy, Luxembourg , Netherlands, Portugal, Spain, Sweden, Switzerland. Aside from the BBC, few broadcasters in the UK have stepped forward to back Google Chromecast streaming dongle. 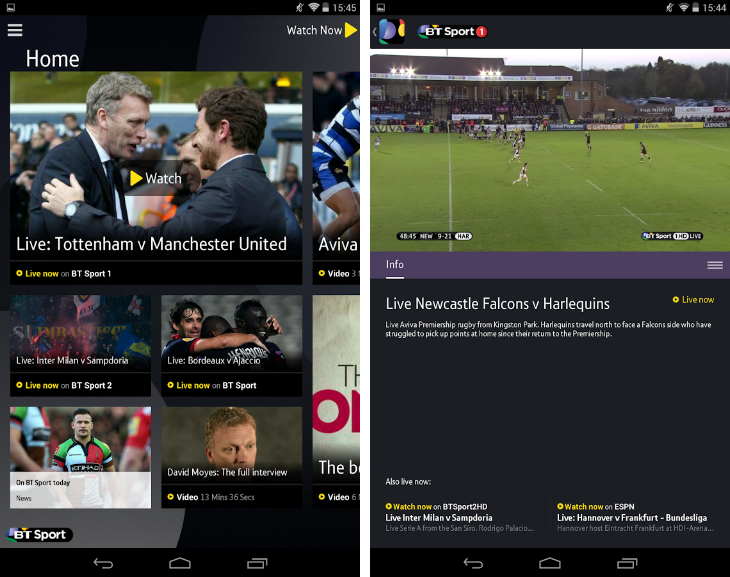 BT Sport was one of the only big players to throw its support behind the device, making it easier for subscribers to watch its burgeoning portfolio of sports channels. The service has rights to a substantial number of Premier League fixtures, as well as Moto GP and Rugby Union. 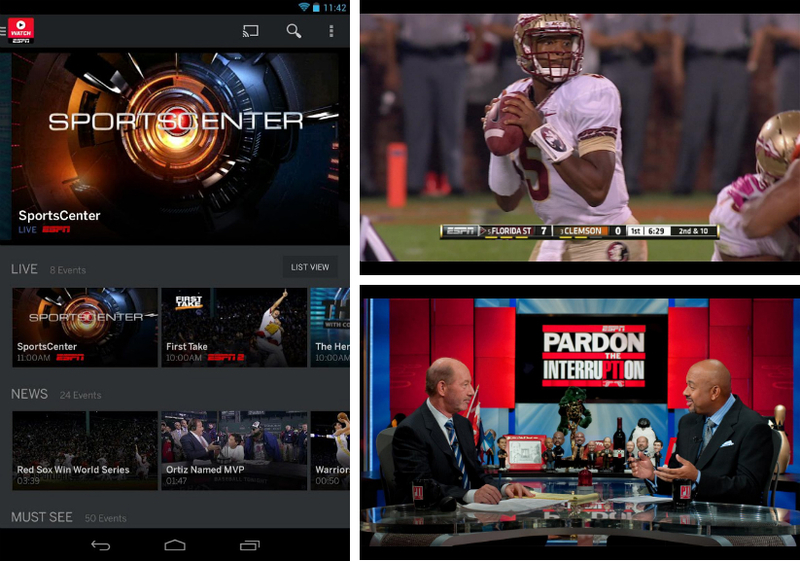 BT Sport even offers ESPN as a bonus, giving viewers a flavor of the live coverage in the US. If you’re without a satellite or cable TV subscription, Chromecast is probably the simplest way to watch BT Sport on the screen in your living room. Hulu Plus isn’t on the same level as Netflix and Amazon’s Prime Instant Video, but it’s still a valuable movie and TV streaming service. In fact, Netflix and Hulu Plus offer very different libraries – so if you can’t find a show or episode Netflix, there’s a chance it’ll be on Hulu Plus instead. Over the last few years, Hulu has also been experimenting with original shows such as Battleground, The Awesomes and Behind the Mask. None of these have garnered the same acclaim as Netflix originals House of Cards or Orange is the New Black, but they’re worth checking out all the same. It’s strange to think that an energy drinks company was one of the first to embrace Google pint-sized streaming dongle. Red Bull offers more than just va-va-voom in a can though; the company is also a media powerhouse, sponsoring the best athletes in a range of action sports. Its movies, mini-documentaries and original shows are second to none, and you can watch them all through the Red Bull TV app for iOS and Android. While a video is streaming, you can review a personalized stream of recommended videos on your device, or back out and continue browsing the app. If you have any interest in Major League Baseball, there’s a good chance you already know about MLB.com at Bat. 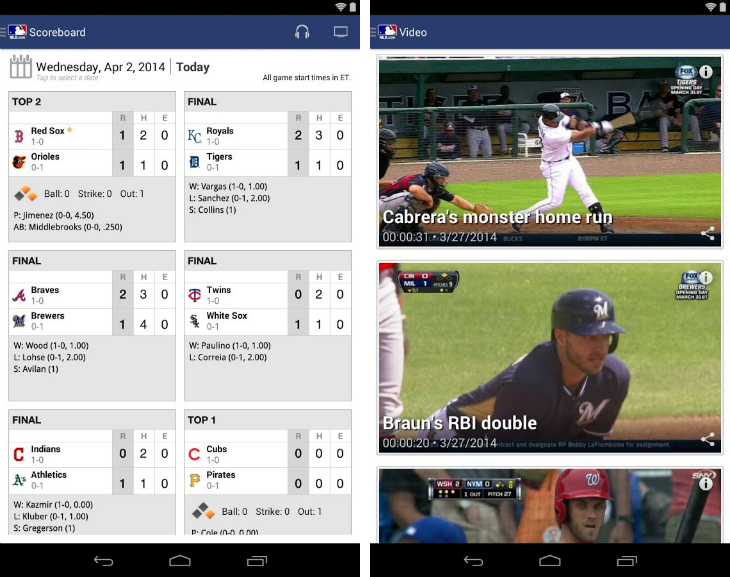 The official app for one of America’s favorite pastimes lets you stream (almost) every pitch, swing and home-run through your Chromecast to any HDMI-supported TV. You’ll need a premium MLB.TV subscription to gain full access – which currently costs a hefty $24.99 per month, or $99.99 for the year – although it also lets you stream through game consoles, set-top boxes and other devices that offer MLB.TV’s digital services. In the West, anime and asian drama is notoriously difficult to obtain legally. Japanese animation is often released on DVD and Blu-ray, but it’s always quite some time after its original broadcast in Japan. The alternative is to wait for a broadcast on TV, which is normally dubbed – a controversial topic for fans. Crunchyroll is tackling the problem with a Netflix-style on-demand streaming service, which is free for anyone to use. A subscription-based premium package is also available though, giving fans access to HD content and “simulcast” episodes. The service is already available on a host of different platforms including Apple TV and Roku, but as of last week it’s on Chromecast too. Tired of the same uninspired, over-the-top summer blockbusters? Plenty of movie buffs feel the same way. Indie releases offer an alternative, but they’re usually difficult to track down or need to be rented individually. 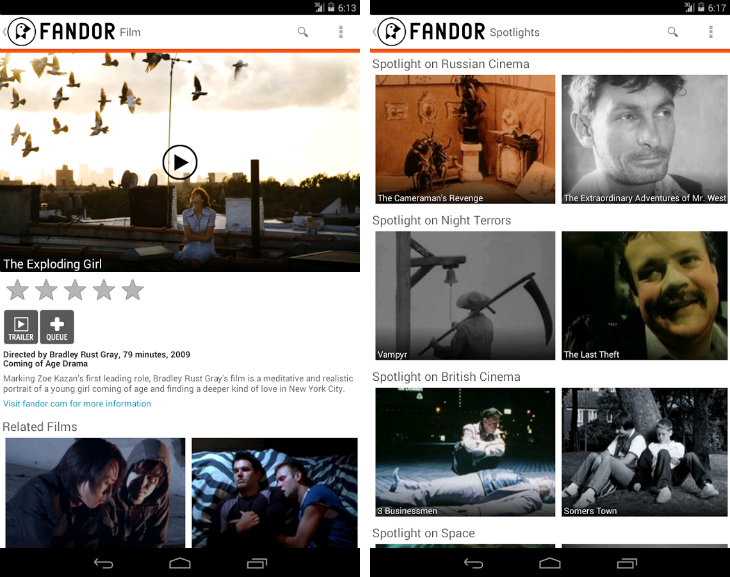 Fandor has embraced this opportunity with an on-demand streaming service designed specifically for smaller indie flicks. In addition to a Roku box or supported Sony Blu-ray player, you can now boot up an art-house rarity on your TV via Chromecast. Bliss. 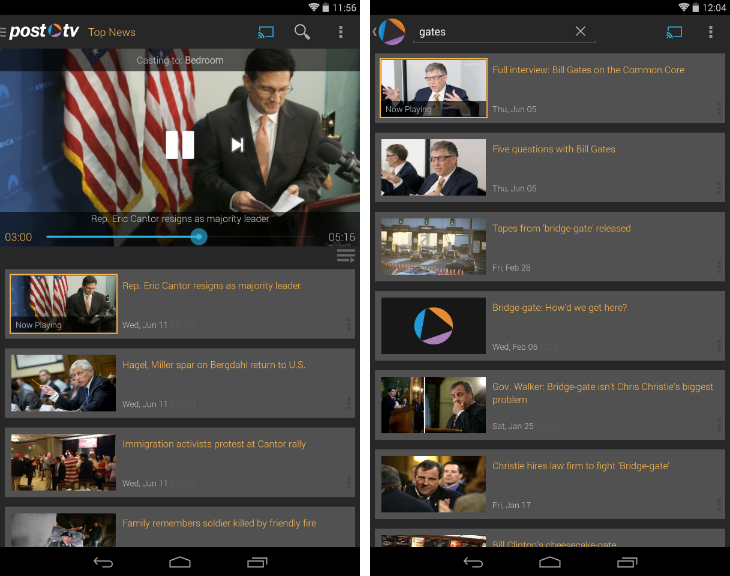 The Washington Post was the first news publication to support Chromecast. While you can also stream with the Washington Post app for iPad, of greater interest is the video-focused Post TV app which is available for Android devices. The design is clean and lean, with a simple vertical stream with short-form reports and footage. Using the navigation menu on the left-hand side, you can view different sections (interviews, sports, politics, etc.) and queue videos to start after your current one finishes. The breadth of content isn’t huge, but it’s all high-quality, as you would expect from an outlet like the Washington Post. Soccer is growing in the US. Interest in the England’s Premier League is on the rise and a few ‘just past their best’ stars are crossing the pond to compete in the MLS league. With New York City Football Club (NYCFC) set to join the fray next season, there’s never been a better time to watch the world’s favorite sport. To stream through your Chromecast with the MLS Matchday app, you’ll need an MLS Live subscription in the US, Canada or Mexico. Paying the extra moolah will give you access to live and archived matches directly through the app – so you can scream at the TV everytime the ball brushes the back of the net. Does this need much of an explanation? YouTube is the largest video-sharing site on the planet and offers clips for just about everything. Given Google’s ownership of the platform, it should come as no surprise that YouTube has supported Chromecast from the outset. So boot up your videos of jenga-playing cats, death-defying climbers and ‘Wrecking Ball’ spoofs, because they deserve to be watched on a proper TV. Although the WatchESPN app is free, you’ll need an applicable subscription with one of the following TV service providers in the US: AT&T U-Verse, BendBroadband, Bright House Networks, Charter, Comcast XFINITY, Cox, Midcontinent Communications, Optimum, Time Warner Cable or Verizon FIOS. Provided you tick all of these boxes, your Chromecast can pipe live coverage from ESPN, ESPN2, ESPN3, ESPNU, ESPNews and ESPN Deportes to your TV. That should cover the NBA, MLB, grand slam tennis events and a couple of the major international soccer leagues. Plenty to sink your teeth into. I rarely watch music videos these days, but I hear they’re still pretty “hip” with the kids. 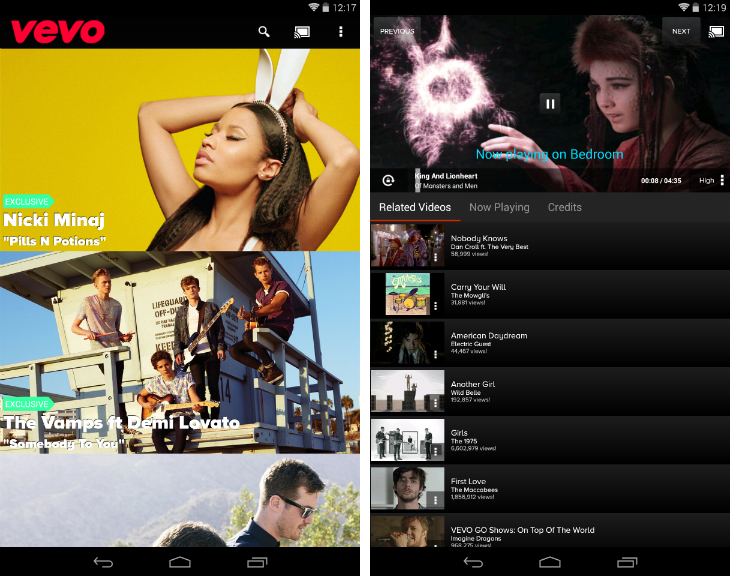 Aside from YouTube, it seems VEVO has emerged as the dominant web-based destination for the medium. The VEVO is beautifully designed, with a heavy emphasis on photos and stylish typography. There are some “exclusives” to check out too and when you’re ready, just hit the cast button to watch them on your TV. VEVO will automatically build and queue up a list of related videos too, so if you’re having some friends over – this is a great way to play some tunes in the background. Availability: 14 markets including the US and the UK. 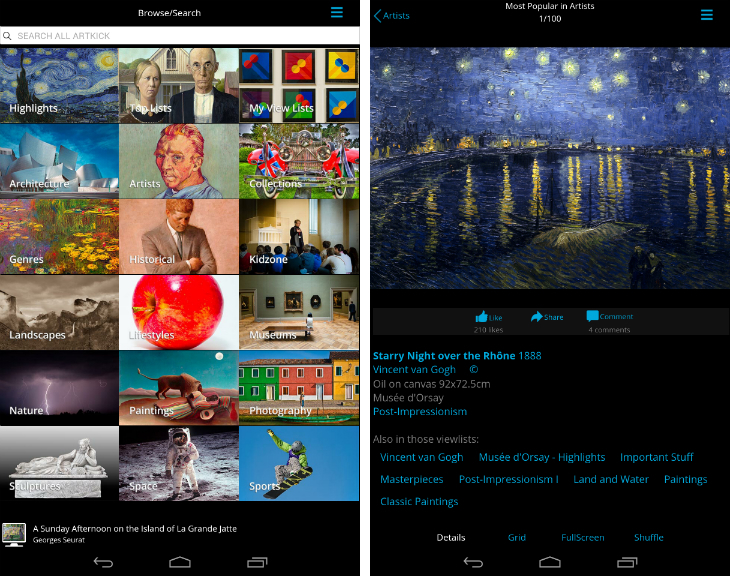 Artkick is a solid idea, but the execution leaves a little to be desired. We’re all used to the idea of digital photo frames, so why not show premium art on your TV too? The app has hundreds of images to choose from – you just find a photo or gallery and then switch it up when you fancy something a little different. The app is pretty clunky though. The interface is archaic and it can take a couple of tries to connect your Chromecast in the settings. Images are also displayed with the Artkick logo in the bottom right-hand corner, which detracts from the experience. Still, it’s an effective way to instantly get a bit of culture on your TV. Dayframe is a seamless way to display all of your beloved photos on a TV. The app supports services such as Facebook, Instagram, Flickr, 500px, Dropbox, Google+, and Tumblr, so no matter where your images are stored – it’s easy to connect your accounts and start streaming. Given the sheer quantity of photos most of us store online, Dayframe also offers intelligent feeds – for instance, Facebook can be configured to only show the photos you’ve been tagged in, or those of your close family. It’s far from perfect though – I regularly find myself rummaging through menus to find specific feeds and the app crashes a little too frequently for my liking. 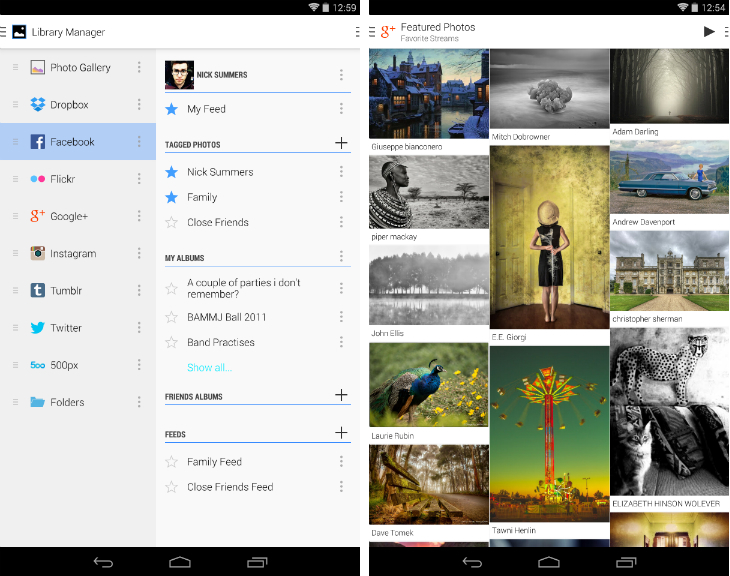 As the name implies, Framebook is designed specifically to handle your Facebook photos. Once you’ve given it the appropriate permissions, the app will offer your photos – or those of your friends if they’ve approved viewing through third-party apps – and then beam to your TV. Slideshows are simple to set up and can be customized with captions and specific time intervals. As the gallery progresses the app will cleverly highlight the photo on your smartphone or tablet, so it’s always easy to jump around and keep track of your position in the album. Developed in-house by Google, this novel Chrome Experiment allows multiple people to take photos and upload them to a Chromecast-equipped TV. On the Web, the images can also be cropped, captioned and drawn on with digital marker pens before beamed across to the screen in your living room. 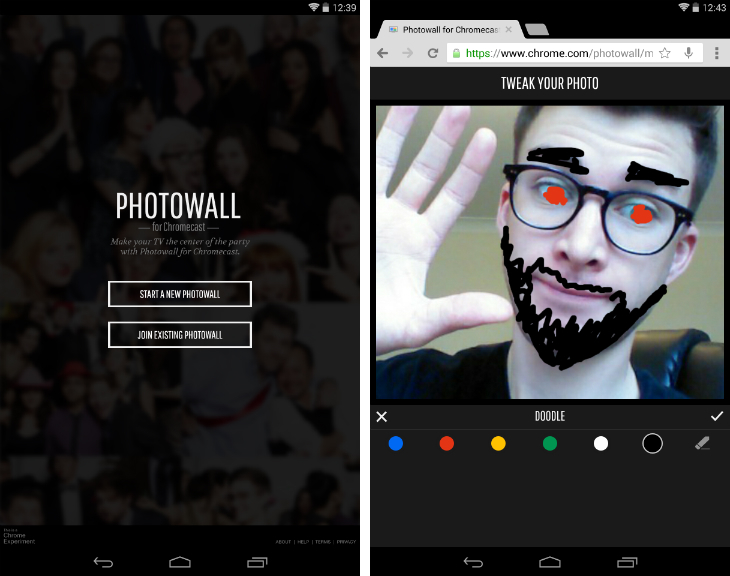 The best part is that once the Photo Wall is set up through the Web, iOS or Android app, anyone can contribute to the collage provided they have a browser and the code Google supplies for each project. 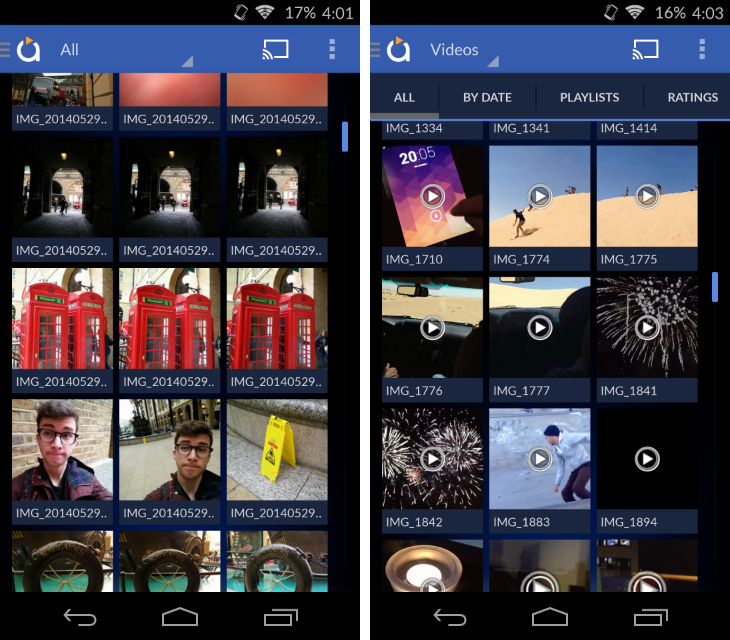 Once the Photo Wall is closed, you even have the option of saving a video-montage of your images. 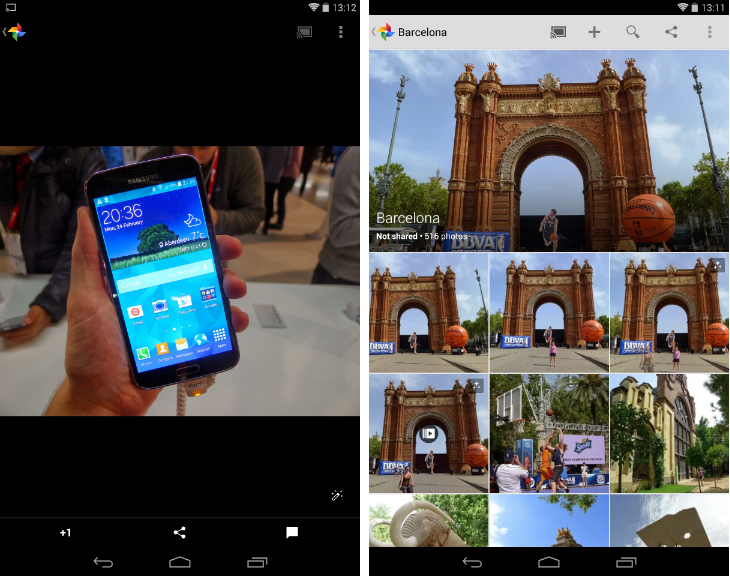 With Google+, you can store all of the photos you shoot with an iOS or Android device in the cloud automatically. It’s dead simple and for a growing number of people, the service is now their preferred place for storing photos and videos. A recent update brought Chromecast support into the mix. In any part of the Photos section, you can now tap the cast button and have those images sent across to your TV. Given Google’s involvement, it should come as no surprise that the whole experience is rather effortless. Along with Play Movies, Google has been keen to push Play Music – and its streaming service All Access – as one of the best reasons to own a Chromecast. If you happen to own a TV with a super speaker setup, it means you can forgo the hi-fi altogether and use the big screen to blast out your favorite tunes. 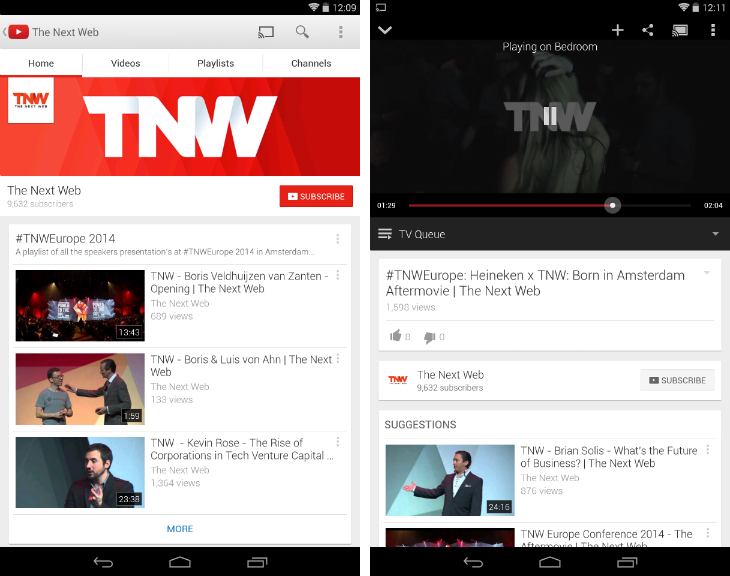 Essentially, you can be anywhere in the app and begin streaming whatever is in the play queue. 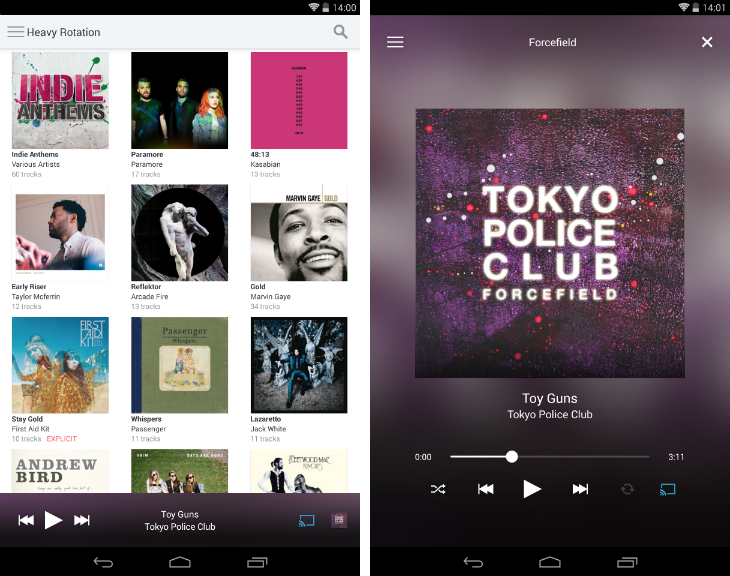 That could be your personal library, an album from All Access or curated radio station built on the fly. 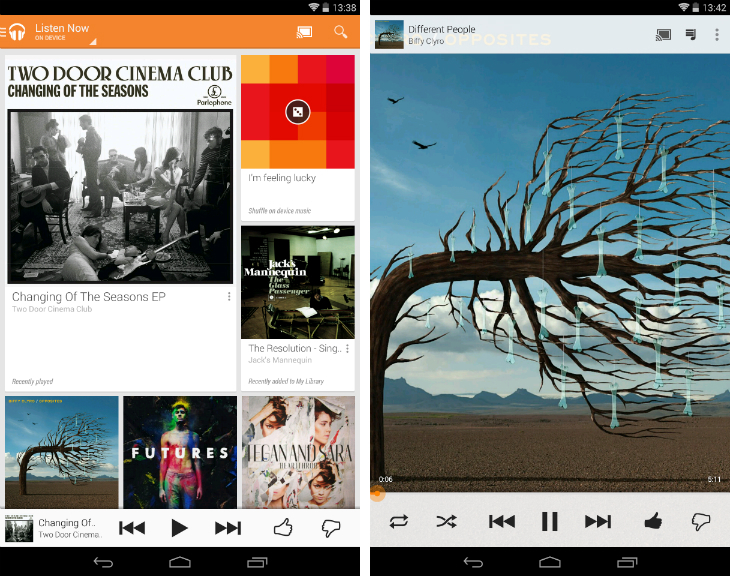 Google will even show the album artwork on screen – complete with seek bar so you know how much time is left to play on the current track. Price: Free download, with optional in-app purchases and subscription. If you’re based in the US, Australia or New Zealand, there’s only one service worth talking about when it comes to internet radio. 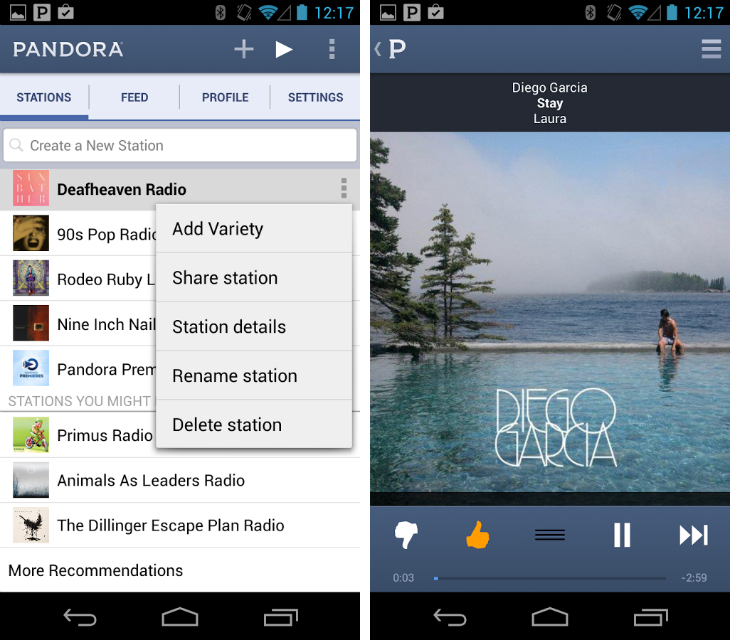 Pandora needs little introduction, although for the uninitiated it lets you stream personalized stations based on a specific artist, track or genre. The service is free to use, although the company also offers a subscription service that strips the ads and bumps the audio quality up to 192kbps. With the Pandora app for iOS and Android, you can have all of this audio-based goodness on your TV with just a few taps. Très bien. Price: Free download, with optional monthly subscription. 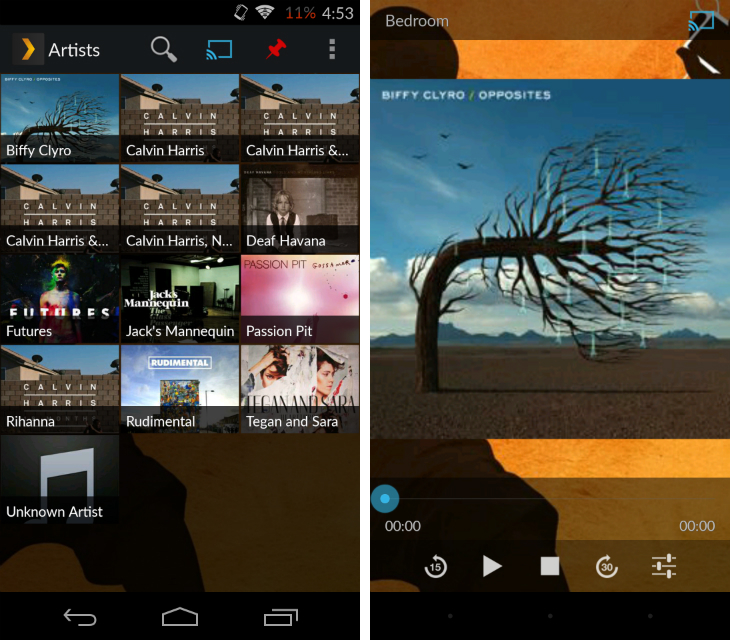 Not everyone is a fan of Play Music, so luckily Rdio has stepped into the fray with its own Chromecast support. The company is known for offering one of the best-designed music streaming services on the market, and support for Google’s tiny dongle gives it a small edge over competitors such as Spotify. To get the Rdio integration up and running, just tap the cast button found in the bottom right-hand corner of the audio player. While the single, album or playlist is played through your TV, you’re free to browse the rest of the app and find something to listen to next. Bliss. Price: Free download, monthly subscription required. “All of the mixes and songs are from 8tracks, we just try and make it look pretty.” Well, at least the team behind the InfiniTracks app is honest. 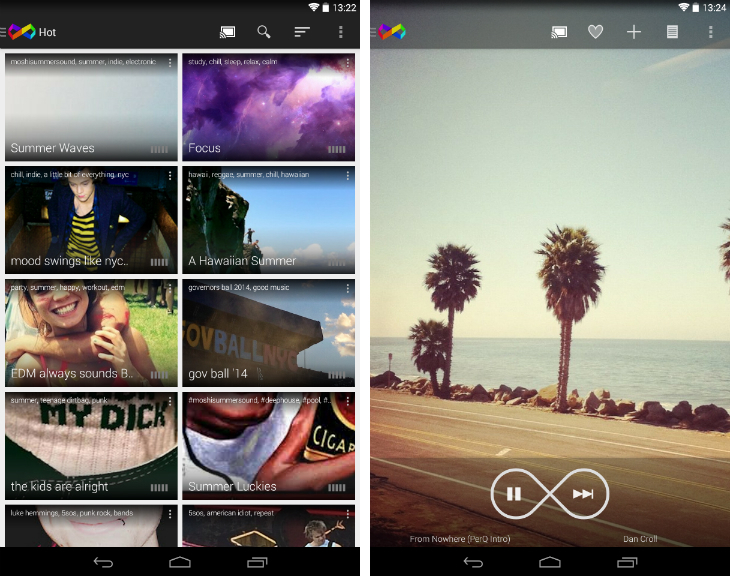 The aforementioned 8tracks service is a robust internet radio service, but it’s not the prettiest to explore. With InfiniTracks, you have a beautiful interface to browse popular feeds, favorited tracks and its simple, but clean audio player. Chromecast streaming does require a small in-app upgrade, but it’s worth the cost of admission – and if you’re not sure, there’s a free trial for newcomers. Pocket Casts is my favorite podcast client. From top to bottom, the app is just sublime. 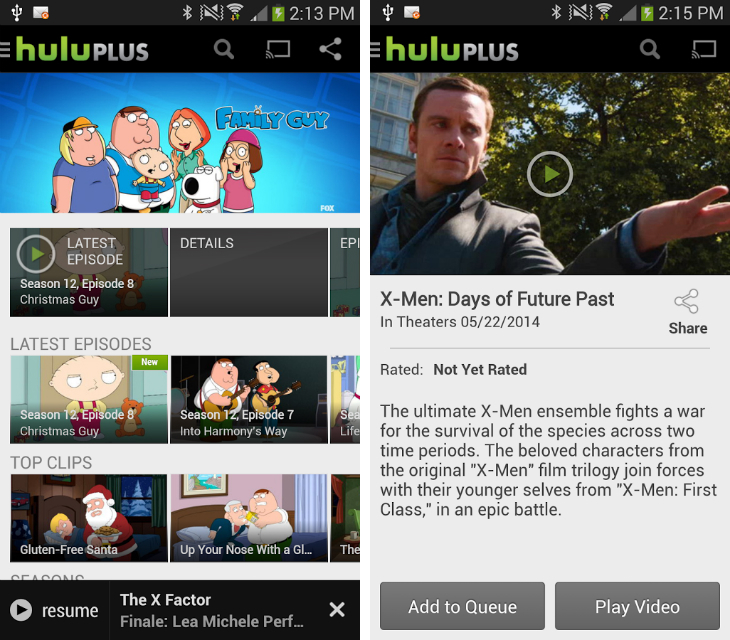 It’s easy to find new subscriptions, organize existing ones and customize when and how new episodes are downloaded. There’s very little that I can criticise, to be honest. 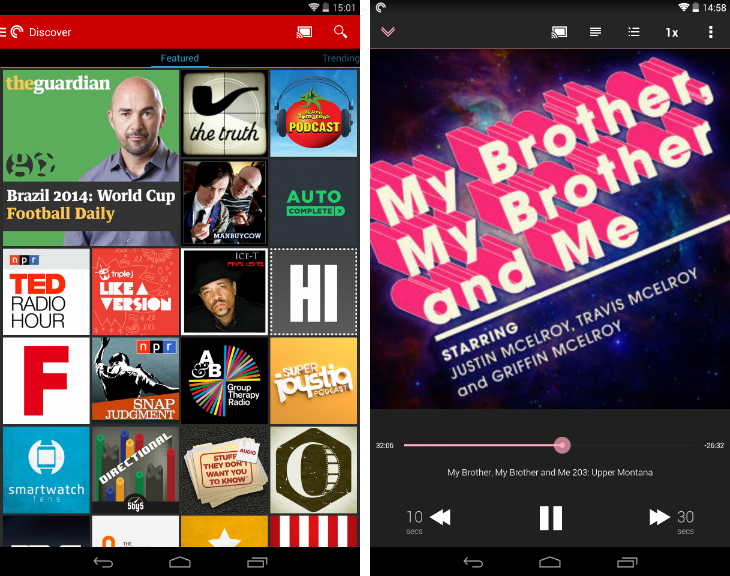 To put the icing on the cake, Pocket Casts is one of a few podcast managers to support Chromecast streaming. Just toggle the option with the cast button – almost always displayed at the top of the screen – and anything you listen to next will be pumped out of your TV. If you’re yet to invest in an external speaker, this is a nice workaround for listening to podcasts around the house. Unfortunately, Songza is only available in the US and Canada at the moment. If you live in one of those markets though, you’ve possibly used the company’s free music streaming service before. 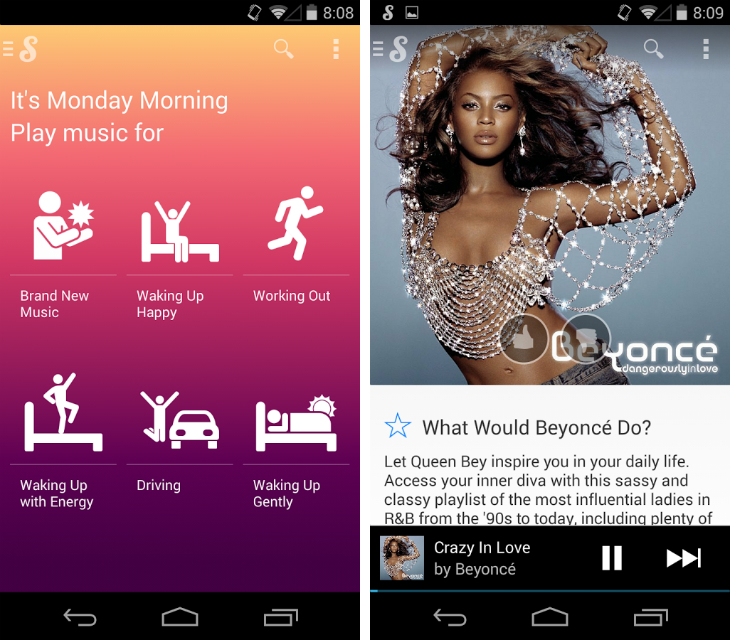 In short, Songza builds playlists around contextual information – if you tune in on Monday afternoon, for instance, it’ll suggest playlists to boost your energy or ones suitable while you’re still working at the office. With Chromecast support, all of those music smarts can be put to good use through your TV – excellent when you just want to kick back in the comfort of your own home. If you’re a media junkie, the chances are you want a single solution to access movies, videos and music from any device. Plex was built for precisely this purpose and it’s well-designed, feature-rich apps have earned it plenty of praise. Once you have a Plex Media Server set up, any of the company’s mobile apps can be used to choose and trigger a new stream for your Chromecast. That gives your TV access to a potentially infinite amount of content – the mobile apps do cost a small sum, but they’re free if you opt for the company’s Plex Pass premium subscription plan. It’s well worth checking out. MediaBrowser is another popular choice for streaming all of your media to multiple devices. The service is similar in design to Plex – you download and set up a free, open-source Media Browser Server first from your Windows, Mac or Linux-based computer. The server can then be managed from any device using a modern Web browser and when you’re ready, you can send the content to your TV (via Chromecast) using the MediaBrowser mobile apps. The arrangement can seem pretty complicated, admittedly. To get everything set up, you’re essentially liaising with three different devices – laptop/PC, smartphone/tablet and the Chromecast – which can be confusing for newcomers. Once everything is in order, however, accessing and managing your library should be fairly straightforward. And the freedom to access your content without any restrictions makes it all worthwhile, of course. Avia takes a slightly different approach to pulling in all of your local media. The service connects with other third-party storage services such as Facebook, Dropbox and Google+, giving you seamless access to all of your synced files. 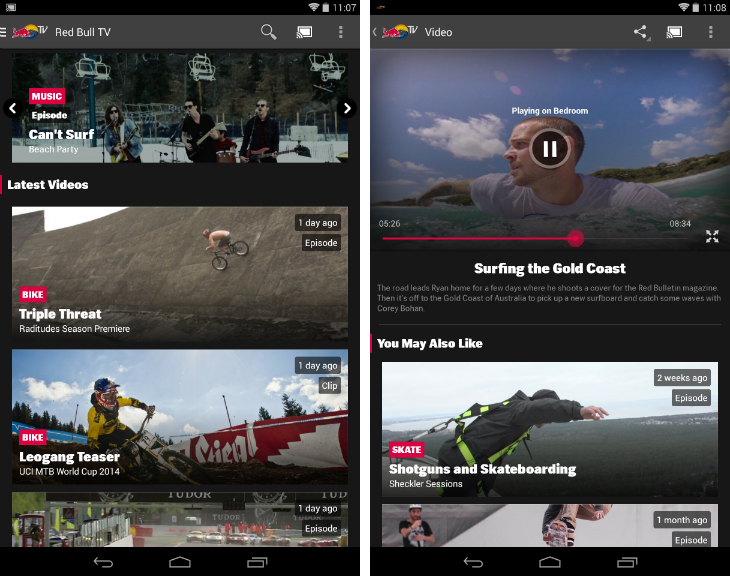 The app is free, but you’ll need to pay a small fee to unlock Chromecast streaming. The asking price is justified, however, when you consider that it also adds local media server support. With this, you can stream just about anything you own to a Chromecast-equipped TV. Marvellous stuff. 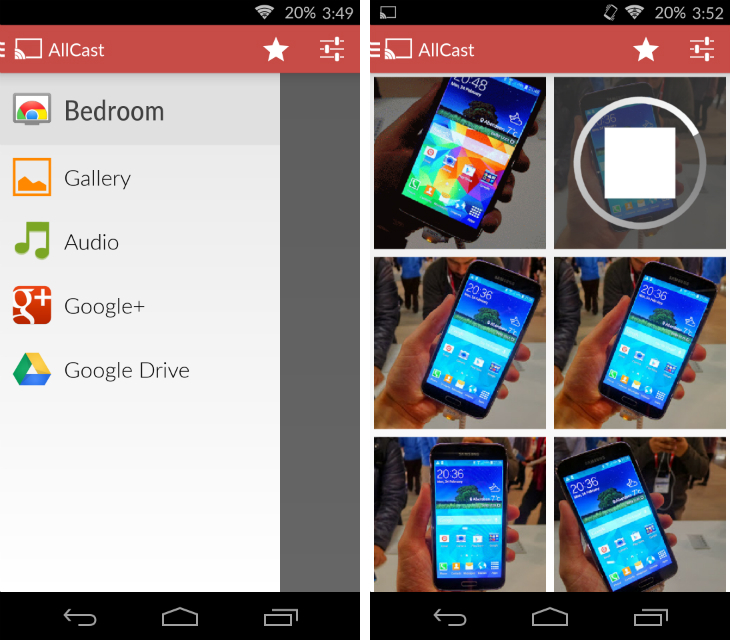 After a little back-and-forth with Google, developer Koushik Dutta has been able to support the Chromecast via his AllCast app. 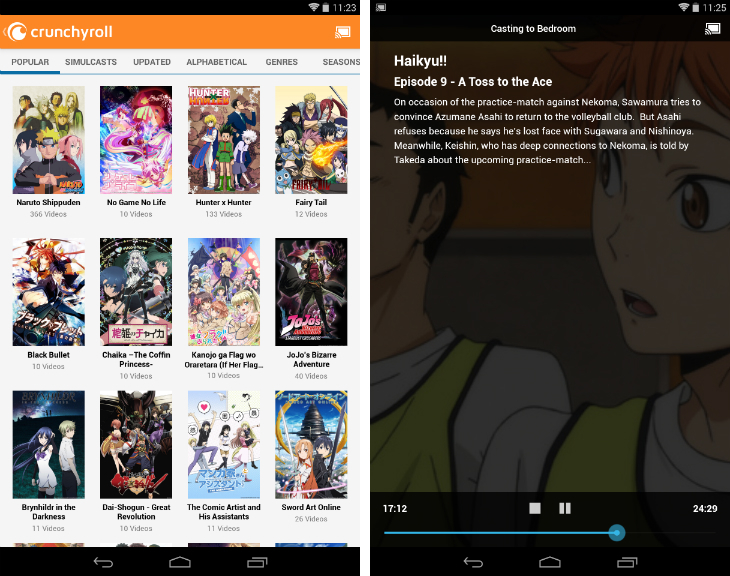 The feature set is pretty similar to Plex and Avia, although of note is the app’s overall aesthetic – it’s polished and in keeping with the design of Google’s own mobile apps. 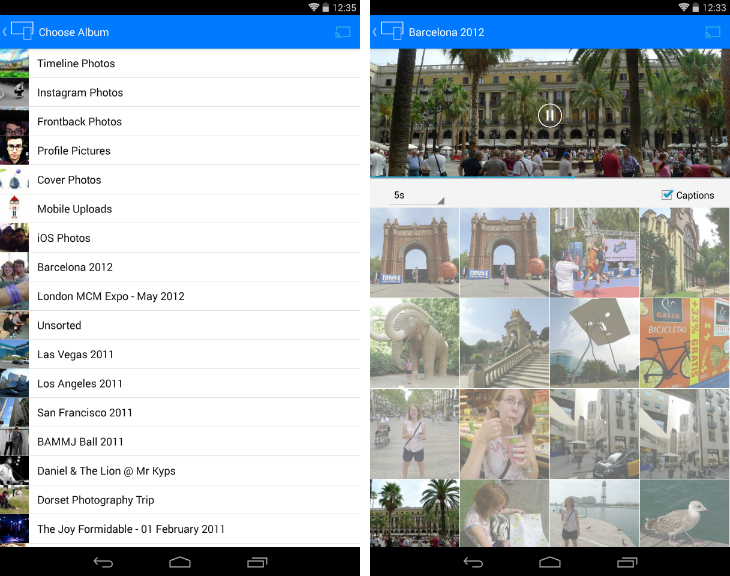 From the outset, you can easily stream local files, as well as those stored on Google+ or Google Drive. The process is quick and stress-free, although the real magic happens when you connect it with a DLNA Media Server. With this set up, you can stream practically anything with Google’s thumb-sized gizmo. BubbleUPnP doesn’t exactly roll off the tongue, but it’s fast-becoming one of the most popular solutions for storing and streaming content with a media server. The service added Chromecast support in February, making it possible to play the majority of videos through Google’s low-cost piece of hardware. Whether you opt to use it over Plex, Avia and MediaBrowser is really down to personal preference. Each have their irks and quirks – it’s worth trying a few and seeing which suits your setup and design sensibilities best. Of course, it’s hard to talk about Chromecast without mentioning the desktop version of Chrome, Google’s immensely popular internet browser. Once you’ve downloaded the appropriate extension from the Chrome Web Store, you’ll see the cast button on optimized websites such as YouTube and Netflix. It’s also possible to stream an entire tab to your TV – although the feature is still in beta and Google says it requires “a fast computer and Wi-Fi network.” Still, it’s incredibly handy for presentations and showing friends your favorite sites.